Odour is a critical risk to the development of a new cattle feedlot or the expansion of an existing feedlot. Poorly sited or operated feedlots have caused odour nuisance and, consequently, local government and communities may be concerned about new developments. Conversely, there are many feedlots operating throughout Australia that are well designed and managed, and do not cause odour nuisance. Research into the odour associated with cattle feedlots has been ongoing since the 1980s. Design and operational principals that achieve an effective minimization of odour are now well understood and feedlot designs can be optimized to make the most of available land. This research allows feedlot developers and operators to understand the potential odour emissions to ensure that unexpected costs, delays to development applications and operational problems may be avoided. In 2016, Katestone was approached by the owner and operator of two feedlots that had the intention of doubling the standing capacity of one feedlot and tripling the standing capacity of the other. The owner had found previous approval processes for expansions to be difficult and costly. Katestone implemented a two stage odour modelling process to ensure efficient delivery of the study. In the first stage, a preliminary feedlot design was modelled using the approved regulatory model. Preliminary modelling provided a characterization of odour risks in the surrounding region and provided a basis for Katestone to use its modelling and analysis tools to provide revised predictions for a range of “what if” scenarios posed by the feedlot designers. This design process produced a feedlot design that maximized the site potential whilst minimizing concentrations of odour at sensitive receptors. In February 2018, the company was granted final approval by the Council for both expansions, including an almost four-fold expansion in one case. The expansions were, in part, made possible by the detailed data on potential odour risks generated by Katesone during the design process. 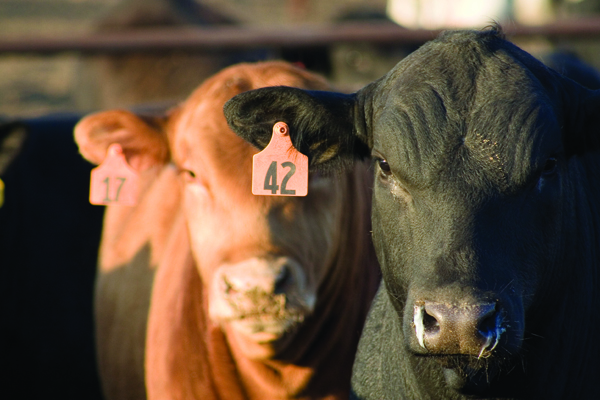 Are you thinking of expanding your feedlot? Katestone conducts detailed odour assessments using regulatory models and the latest research, including that of Meat and Livestock Australia. Katestone combines this data into a robust and flexible framework for assessing and optimizing feedlot design scenarios. This framework was used in the above Case Study to produce accurate and reliable results to assist in the design process. Contact us if you are contemplating development of a new feedlot or the expansion of an existing feedlot.